Many people assume that for a furniture piece to be deemed beautiful or luxurious, it must be made in a very complicated and complex manner. This isn’t always true. Sometimes the simplest design can make the biggest impact. The Brancusi Table by Estel is a perfect example of creativity meeting the simplistic. 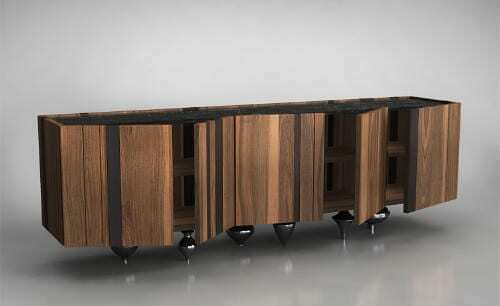 It is the stunning success of Enrico Tonucci who was inspired by traditional, age-old materials. 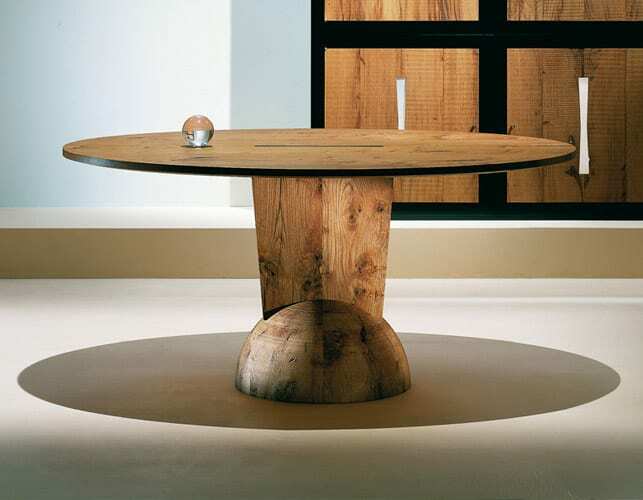 The most outstanding thing about the Brancusi Table by Estel is its base. It is made of old oak beams obtained from buildings dating back to the 1800s. The beams are chosen by a craftsman who ensures that they are of the highest quality before working on them. Afterwards, they are taken to a factory where they are planed, squared, and fused with dovetailed joints. They are glued and pantographed to make the top which is an inlay in ebony. Brancusi’s base is made up of an assemblage of 8 pieces of oak. It is manufactured using a turning process that creates the ground support hemisphere on which the stele sustaining the top is attached. 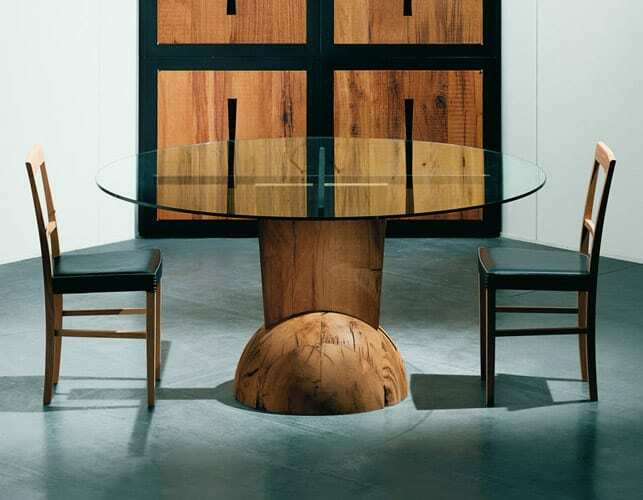 The table can be purchased in solid wood or with a glass top. The wood version displays all the qualities of a living material. Brancusi is uniquely designed to complement contemporary spaces. It boasts an expert finish that enhances the aesthetics of any room. It provides beauty without overwhelming and is perfect for those who want fashionable and trendy furniture pieces. 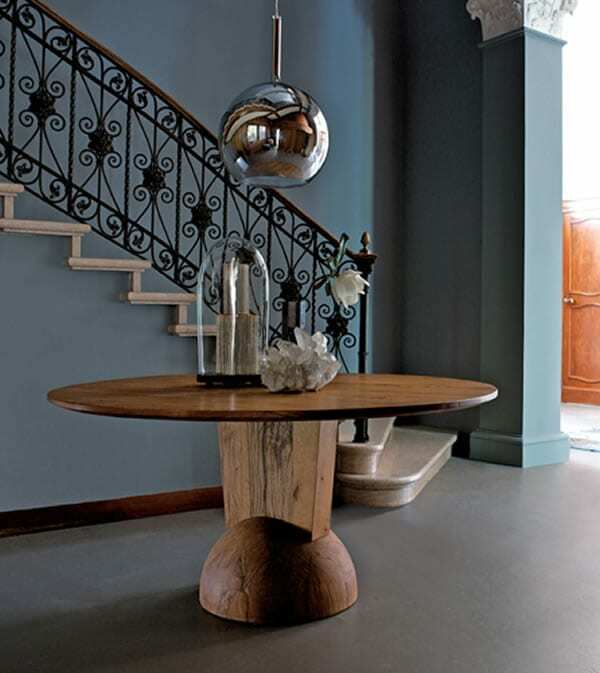 Do you like the unique style of the Brancusi Table?